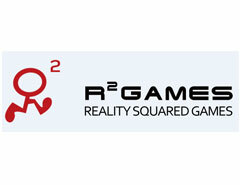 eality Squared Games (R2Games) is an international licensor and publisher of browser and mobile games with offices in Guangzhou, Changsha, and Shanghai, China. One of the R2’s greatest strengths is allowing Western gamers to get a taste of some most successful titles from the Chinese game market. With a team made up of game industry professionals from over a dozen countries, R2 is known for showing high attention to detail in localization, marketing, and operations. Some of R2’s more popular include Crystal Saga, Wartune, City of Steam, Yitien, Lunaria Story, Dragon Pals, Eternal Saga, and Blood and Jade for browser, and Excalibur for mobile. All titles are playable on www.r2games.com.